Operating room flooring requires that it always is as sterile as possible thus Silikal installs these specialty type of flooring that thus far have set the industry standard. 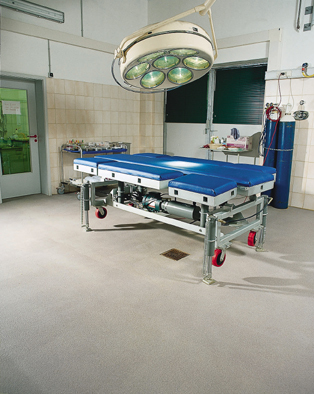 Operating room floors of course are expected to be designed in such a way as to be cleansed quickly so that they can remain sterile longer. Flooring for operating rooms must be tough to be able to take plummeting instruments that chip and gouge a lesser surgical floor. 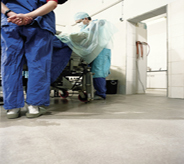 Deciding on operating room flooring is a decision that must be borne very carefully indeed. All are in agreement with a few facts. First of all the dropping of surgical instruments creates chips and gouges in a surgical floor. Next, it cannot be helped but things like blood, various surgical matters and of course any fungus will actually putrify in those gouges and chips. Worse yet washing down the area daily actually increases the bacterial growth that this creates. You see, the very act of cleaning means that the various contaminants are still going to remain imbedded in that flooring structure. Unfortunately the chemicals utilized in cleaning do not remove any of the stains, nor does it remove the bacteria growing there. The point is either to not drop instruments, which is humanly impossible, or given the impossibility, one needs some kind of operating room flooring that is not susceptible to chips and gouges. 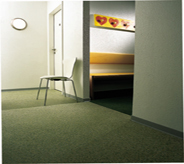 Hence, the conception of using Silikal for operating room flooring. You see Silikal is first of all completely cured one hour after installation, thus the operating room will not have to be kept closed for longer, as it must be when using a product whose curing time is much, much longer. Next, Silikal has absolutely no VOCs. That means that the entire operating wing does not need to close when Silikal is introduced, since there are no vapors nor fumes ever present. Silikal’s working job-site crews have been painstakingly trained in your hospital protocols; therefore they will always be as professional as possible in your hospital. In addition, our workers are only too aware of the sensitive nature of any of your operating room equipment. 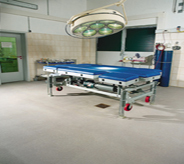 Because we only send highly experienced workers to complete your operating room flooring, they will ensure that there is minimal interruption in any of your enormously demanding work. Silikal flooring will be the answer to the above scenario of dropped instruments too, as Silikal is extremely difficult to pierce, and should there be an accidental industrial misfortune involving dropped instruments, Silikal bonds to itself, and thus can easily and summarily be repaired. Any blood, or various surgical matters dropped on a Silikal operating room flooring will easily be picked up, and will not even stain Silikal. Cleaning a Silikal floor requires much less chemistry because the floor remains totally seamless and non-porous at all times. 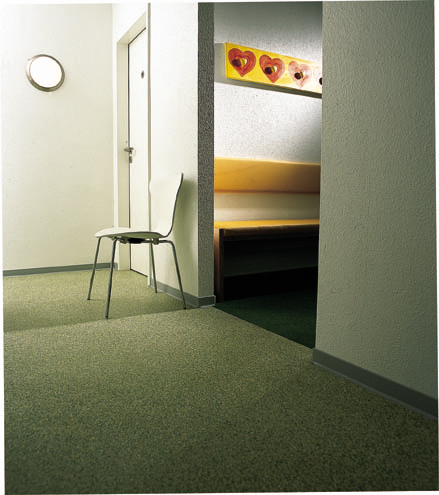 If ever there were a perfect operating room flooring, Silikal is it!